Like probably 99% of Japanese sword aficionados, my first experiences were with Samurai sword sets of the cheap/ornamental variety. 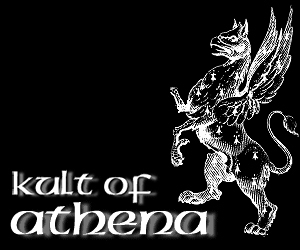 The SFI post is an oldie, but a goodie. The general gist is a guy who has recently learned that swords made of stainless steel with rat tail tangs are usually a disaster tries to pass on the knowledge to his friend. Unfortunately, many people don't know that there are some major differences between a functional Japanese sword and these Samurai sword sets, as can be clearly demonstrated in this rather amusing post here on Sword Forum International. In this article, I'll be talking about the main differences between a functional Japanese sword and a purely ornamental sword like object. But I'll also be taking a closer look at how to identify the best made Samurai sword sets that might be sturdy enough for at least some non-contact sword practice, as well as how much you should be paying. Before I get started here, I'd like to point out that I have nothing against Samurai sword sets. 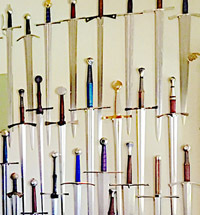 As a home or office decoration, it isn't necessary to spend a lot of money to get a really great looking set - and if displaying your swords is your only objective, it doesn't really matter if they are functional or not (though I'll admit displaying a functional sword set is a whole lot cooler!). 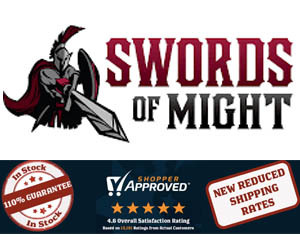 What bugs me is the combination of massively over inflated priced and when blatant lies are told about a swords functionality (such as "solid enough for actual use, but not intended for it") and my favorite example is the infamous home shopping network clip where an unscrupulous seller gets his just deserts. 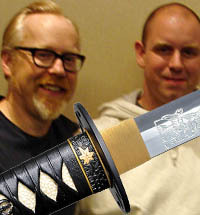 "A piece of that tip just got me O'dell"
Essentially, there are three major areas that separate a functional Japanese sword from an ornament: the type of steel used (and it's heat treatment), the structural integrity of the handle and (of course) it's sharpness. 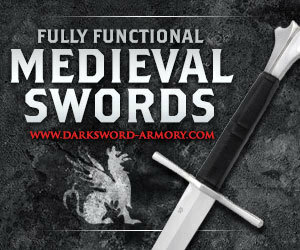 Now bear in mind that I am referring to a live fully functional sword here that can be used for both martial arts practice and cutting. There is another class of Japanese sword called Iaito which is designed solely for practicing forms in a martial arts setting that are not sharp and can be made from zinc/aluminum or carbon steel. Add a stand and a matching iaito Wakizashi, and it creates a sword training set - but this is a different category than what we will be looking at below..
Secondly, the handle needs to be sturdily constructed in the traditional manner - and area in which almost all Samurai sword sets fall down. Most ornamental swords have a rat tail tang, in other words a thin rod of steel spot welded to the blade that runs through the handle. 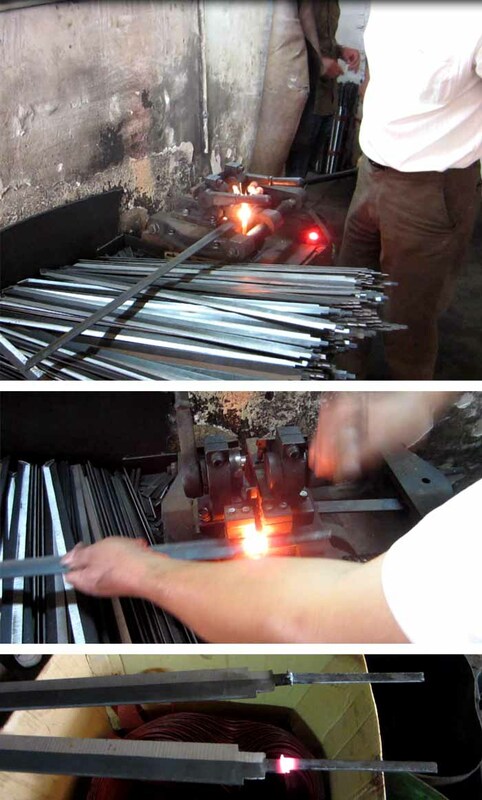 Below you can see pictures from a typical sword forge showing the rat tail tang being spot welded on. Rat tail tangs getting spot welded on Katana like objects. 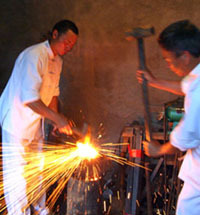 Note the PILE of blades being made - it is done this way because it is CHEAP to make..
Thirdly, it should come as no surprise that a major difference between a functional Japanese sword and a replica designed for display purposes is in the blades sharpness - or more accurately what kind of edge it has. A real Japanese sword has a blade with a single beveled edge (in other words, the two sides of the cutting edge meet smoothly), while sharp ornamental swords have a secondary bevel much like a knife. It should go without saying that if a sword is sharp, but made of stainless steel and a rat tail tang, it should NEVER be used for cutting or even practicing martial arts forms as chances are that either the blade will shatter on impact (cutting) or the handle will crack open if you swing it around (much more likely). Are Any Cheap Samurai Sword Sets for sale out there actually 'Functional'? Part of the reason why functional, half decent sword sets are rare is because the production cost of a Katana and a Wakizashi is ALMOST IDENTICAL (i.e. 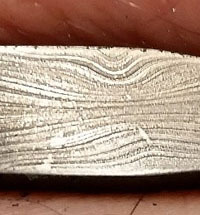 they are subject to all the same production processes - the difference is really just in amount of steel used and a few minutes extra polishing). 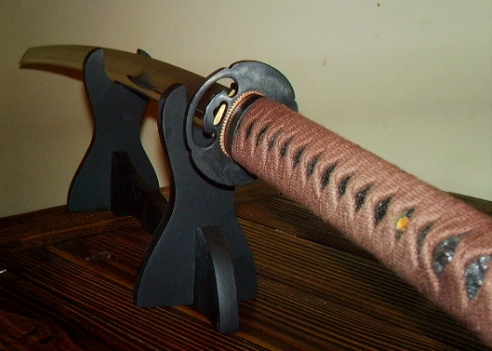 However, most people feel that a Wakizashi should be a lot cheaper than a Katana - so sellers are pushed into a tricky situation, so many simply don't bother! The short answer is, no - not really..
For a while, following the success of the Last Samuari movie, there was a carbon steel set of three blades for under $100 - but I guess it wasn't making money as it was discontinued after around 3 years. 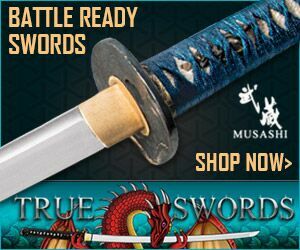 The ONLY set that I have found that is anyway near half decent is the so called 'Musashi Daisho Samurai Katana Sword Wakizashi 2PCS set' for sale for $84.99 here at Sword N Armory.com. It's nothing special but at least this set is baseline functional and ticks the boxes above. 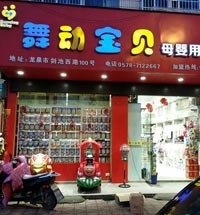 However, there is a large gap between this and the next level up. The only solution seems to be to find a Wakizashi and MAKE YOUR OWN set (i.e. find a Wakizashi, a sword stand and a Katana). Note the Daisho of this REAL Samurai is not a matching set. This was not unusual.. 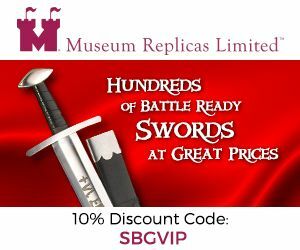 This is an interesting challenge, but the best part is that historically Samurai sword sets did not have to match! 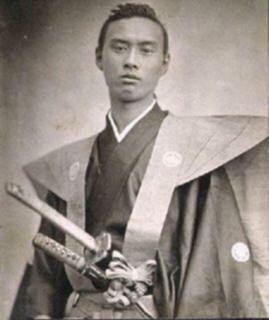 The REAL SAMURAI pictured right from the 1880's set certainly did not, and it was not at all unusual.. Many people like a nice matching set, but the Samurai did not care - indeed, the complex interplay of contrasting designs had a meaning all of it's own. 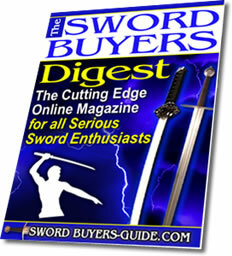 I hope this information on Samurai sword sets has been helpful. To return to A Beginners Guide to Buying Authentic Japanese Swords from Samurai Sword Sets Buying Guide, click here.